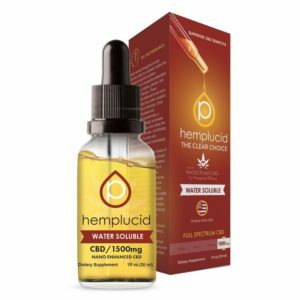 Hemplucid Water Soluble CBD Tincture. Ultra purified, De-waxed whole plant CBD cannabidiol concentrate bonded to organic vegetable glycerine. Sweet, sugar free and has rapid bio availability. GMP certified, Non-GMO, USDA Organic Industrial Hemp. CO2 Extracted. This tincture may be taken orally or mixed into food or drinks. Natural Flavor.